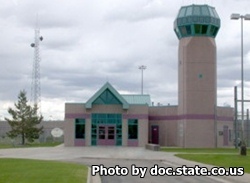 Limon Correctional Facility is located in Limon Colorado. It is a mixed custody facility that houses over 900 inmates. This facility utilizes an incentive program that encourages inmates to exhibit positive and constructive behaviour. This facility also encourages inmates to take part in the adult basic education and GED courses offered. When inmates receive a higher education they are much more likely to successfully obtain a job after their release. Vocational programs offered at this institution include construction skills, custodial training, flagging, and more. Inmates who are nearing their release date can participate in a pre-release program that will prepare the inmate. Once your visitors application has been approved you may visit an inmate on Fridays and Saturday from 10am-3pm, and on Sundays from 10:30am-3pm. All visits must be scheduled by calling (719)-775-8921 a week and a half in advance. Inmates will be processed 9:30am on Fridays and Saturdays and 10am on Sundays, if you arrive after 1pm you will not be processed for visitation.